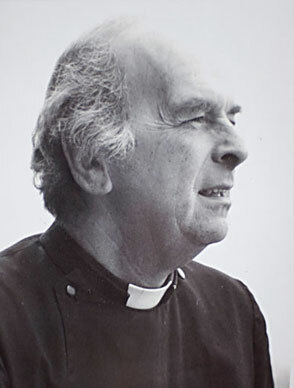 Although Tony retired as Dean of Guildford as long ago as 1986,I received many letters from people who remembered him with affection and paid tribute both to him as a person and to his ministry. As I sorted through the huge store of old sermons, lectures and essays, together with the reviews of some of his books (and being mindful of the fact that Tony was most emphatic about not having a memorial service of any kind) it became increasingly apparent that I should make at least some of this material available to anyone and everyone who may be interested. And so this memorial website was conceived and I have decided to include just a small sample from that vast store of sermons, lectures and essays, together with the reviews of some of his books and his autobiography in full, in the hope that those of you who read this Webside tribute will find them helpful. My thanks to the Dean and Chapter of Canterbury Cathedral for hosting this website. Finally, as I was sorting through the confusion of files and documents I found in the study shortly after Tony died and in almost total despair at the enormity of this task...this last page of what seems to be a missing Easter Sermon, fluttered onto the floor.....it reads: "But I do long to convert people to the Christ who experienced desertion, dereliction, darkness, and death in trust that God would be faithful, as indeed God was faithful on that first Easter morning by raising him from the dead. Christ, the Son of God, who the New Testament rightly reminds us was "like unto us in all things" except that he trusted in God all the time, and we don't. Christ, therefore, in one very real sense the ordinary man who shows us the natures of our ordinary humanity and the clue also to our destiny as sons of God. For if God was faithful to Christ - and the resurrection is all about the trustworthiness of God - he will be faithful to us when we experience desertion, dereliction. the darkness of the world, the death of those whom we love, and our own small deaths when they come. If that is nonsense, then Christ died in vain. But believing that that is not nonsense, and that he did not die in vain, I wish you all a happy Easter happy in the knowledge that your eternal destiny is vested in the love and the life and trustworthiness of God. There is no ultimate meaning to any man's life greater than that."